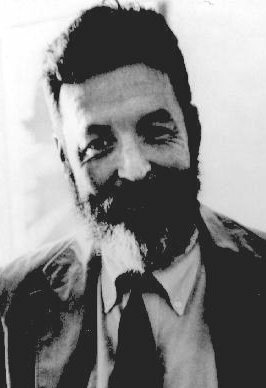 Randall Jarrell (1914 – 1965) was a United States author, writer and poet. He was a native of Nashville, Tennessee and graduated from Vanderbilt University. While at Vanderbilt, he was closely acquainted with the group of poets which made up the Fugitives group, but his work is not considered to have been greatly influenced by them. Jarrell followed the great critic John Crowe Ransom from Vanderbilt to Kenyon College in Gambier, Ohio, where Jarrell wrote a masters thesis on the poetry of Alfred Edward Housman and roomed with student poet Robert Lowell. Jarrell was a well-respected academic and literary critic in addition to his creative work. He taught at Kenyon College, the University of Texas, Sarah Lawrence College, and the University of North Carolina” University of North Carolina. His first collection of poetry, Blood from a Stranger, was published in 1942, the same year he enlisted in the United States Army Air Corps. He failed to qualify to fly, however, and instead worked for the Army as a control tower operator. His second and third books, Little Friend, Little Friend (1945) and Losses, drew heavily on his Army experiences, dealing with the fears and moral struggles of soldiers. The Death of the Ball-Turret Gunner is a particularly famous Jarrell poem in this vein. During this period, however, he earned a reputation primarily as a critic, rather than as a poet. Encouraged by Edmund Wilson, who published Jarrell’s criticism in The New Republic, Jarrell quickly became a fiercely humorous critic of fellow poets. In the post-war period, his criticism began to change, showing a more positive emphasis. His appreciations of Robert Lowell, Elizabeth Bishop, and William Carlos Williams helped to establish their reputations as significant American poets. He is also noted for his essays on Robert Frost, whose poetry was a large influence on Jarrell’s own, Walt Whitman, Marianne Moore, Wallace Stevens, and others, which were mostly collected in Poetry and the Age (1953). Many scholars consider him the most astute poetry critic of his generation. His reputation as a poet was not fully established until 1960, when his National Book Award-winning collection The Woman at the Washington Zoo was published. His final volume, The Lost World, published in 1966, cemented that reputation; many critics consider it his best work. Jarrell also published a satiric novel, Pictures from an Institution in 1954, drawing upon his teaching experiences at Sarah Lawrence College, which served as the model for the fictional Benton College, and several children’s stories, among which The Bat Poet (1964) and The Animal Family (1965) are considered prominent. He translated poems by Rainer Maria Rilke and others, a play by Anton Chekhov, and several Grimm fairy tales. He served as Consultant in Poetry to the Library of Congress, a position today known as Poet Laureate Consultant in Poetry, from 1956-1958. In 1965, while walking along a road in Chapel Hill near dusk, Jarrell was struck by a car and killed. The coroner ruled the death accidental, but Jarrell had recently been treated for mental illness and a previous suicide attempt, leaving the truth of the matter in doubt. In 2004, the Metropolitan Nashville Historical Commission approved placement of a historical marker in his honor, to be placed at Hume-Fogg High School, which he attended. There is a grammatical error with the word ‘swan’ towards the end of the poem. It’s obvious if you look at the context.